Nowadays, people search for beauty everywhere! Hair transplantation is one of the most important operations that restore beauty and give person more attractive appearance. It is known that success of any operation is closely related to patient's commitment to medical instructions, so we would like to point out that there are some medical instructions precede hair transplant operation have to be applied in case you have taken your decision to carry out hair transplant operation . if you don’t care about these instructions, your hair transplant operation may fail! Clinicana Hair Transplant Center in Istanbul – Turkey gives you all the important instructions that you have to follow before hair transplant operation to ensure that you will get the best results. 1- Choosing the right center for hair transplant in Turkey: It is good to look for a hospital with surgeons who have a reputation for performing the procedure. Patients should be advised of any complications and side effects that may occur after surgery and doctors should be available if you have any questions or concerns. We must not forget the donor area, this is limited. If the first hair transplant fails, you will lose a significant part of the hair in the donor area, so the doctor's experience is absolutely necessary. hair transplant operation is a cosmetic procedure and you should look for the best hair transplant center that gives you the quality required to get the results you want. Clinicana hair transplant center in Istanbul, Turkey at Acıbadem Hospital has the JCI international license in Turkey and the ISO Health Certificate. Increase bleeding: consumption of alcoholic beverages dilutes the blood. This means an increased risk of excessive bleeding during the hair transplant operation and even after it. This may affect the transplanted hair. In addition to increasing the risk of bleeding after the operation, patients need longer recovery time and this increases the possibility of infection and inflammation. You may be vulnerable to pain during the operation: due to the effects of alcohol on the body, it maybe interferes with anesthesia during hair transplant operation and therefore, an additional dose of anesthetic will be required to anesthetize the scalp. In addition, although alcohol extends (expanding / increasing blood flow) peripheral blood vessels, it has actually been shown to restrict blood flow to certain areas such as the head / scalp and thus reduces the blood flow to the new grafts and this point contributes to bad results. Poor circulation can undermine a patient’s wound healing and prolong the entire process. If the skin takes longer to heal, there is a much higher risk of infection since particles and microbes have an opportunity to enter. If the skin has trouble in healing and closing the wounds, scabs and crusts may remain on the surface for longer periods of time. And this will increase the likelihood of forming thicker scar tissue. According to Clinician’s doctors, smoking also increases the risk of skin death (i.e. necrosis). This effect can be minor or larger in scale, depending on the number of cigarettes the patient had smoked in the past. It has found that smokers who underwent surgeries requiring significant areas of skin excision (e.g. flap surgery and scalp reduction) face a much larger risk of skin necrosis following a hair transplant procedure. Furthermore, excessive oozing and bleeding may occur during the time of the surgery. And this can extend the entire procedure and prolong the amount of time that the follicles are left outside the body. The limit is around six hours. The survival of the hair transplant grafts can also be impaired due to the lowered availability of oxygen and nutrients. However, according to Clinician’s doctors, this would largely depend on the individual and whether or not they are chronic, long-term smokers. because of all these adverse effects, Clinicana’s doctors advise patients to stop smoking at least one week before hair transplant operation . 4- You must stop any kind of Aspirin before 1 week from the procedure: Aspirin inhibits platelet function (the main blood components that help to stop bleeding) for up to 10 days, so aspirin increases bleeding during hair transplantation. therefore, Clinician’s doctors recommend to keep away from aspirin at least 10 days before hair transplantation. 5- Stop consuming some substances such as green tea and some nutritional supplements, vitamins and herbal medicines for two weeks before hair transplant: because these drugs increase bleeding and reduce the stability of hair follicles in the scalp. 6- You have to stop using any kind of medicines, lotions, and shampoos (that contains Minoxidil) which helps to stop hair falling 1 month before hair transplantation: because Minoxidil promotes blood circulation and blood flow to the scalp, and therefore you should stop it to reduce bleeding during hair transplant, . 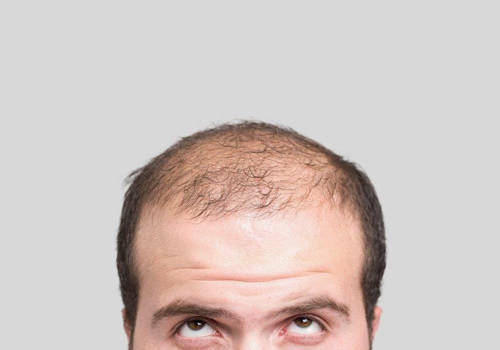 Clinician’s doctors advise patients to stop Minoxidil at least a month before hair transplantation. 7- When you come to the operation please wear comfortable clothes, perfect to wear shirt with buttons or sweater with zipper, it's important while getting dressed & undressed. 8- You should have a full rest before one day from the operation, and sleep very well. 9- Take a bath before your arrival to Istanbul, because we will wash your head after two days from the date of the operation, sure you can wash your body. 10- Don't cut your hair before the procedure, we will handle it here in the hospital: Hair shaving helps to evaluate hair bank better and to determine follicles’ number that can be extracted. also helps to extract the follicles properly and adjust the angle of extraction . 11- Please inform us if you suffer from any illness before your coming to Istanbul, especially Diabetes or blood pressure: these information plays an important role in assessing the situation. Some people with diabetes may have some infections that should be treated and some types of dermatitis may prevent hair transplant operation. some types of ischemia may adversely affect hair transplant. Some previous operations may significantly affect hair loss, such as Gastric Sleeve and digestive tract operations. So you should inform your doctor of your medical history to give you the optimal assessment of your condition.